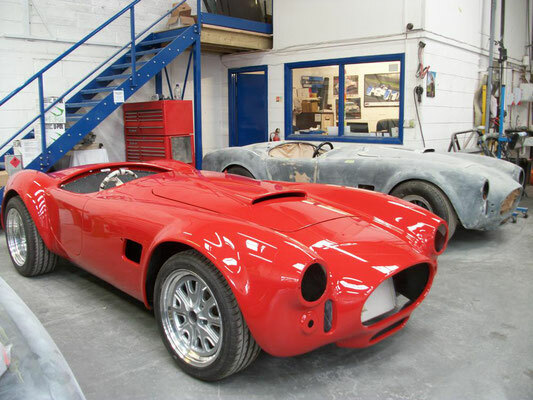 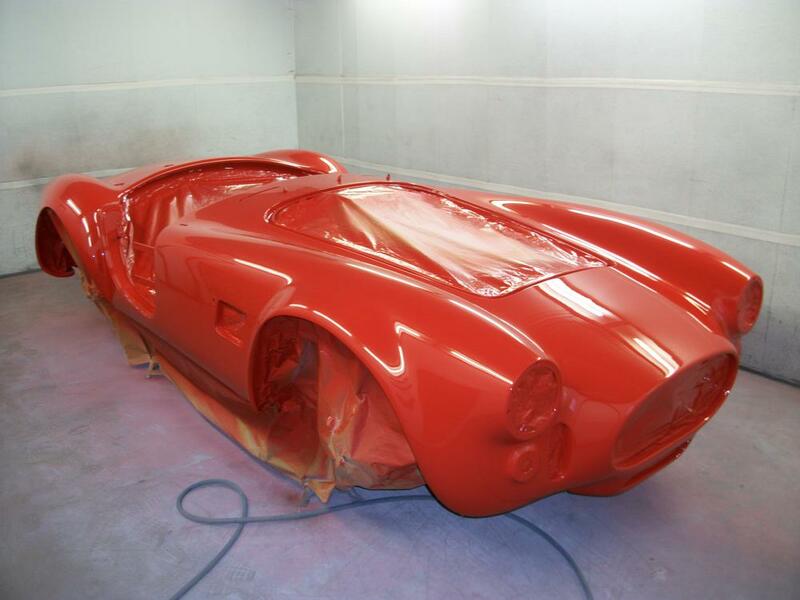 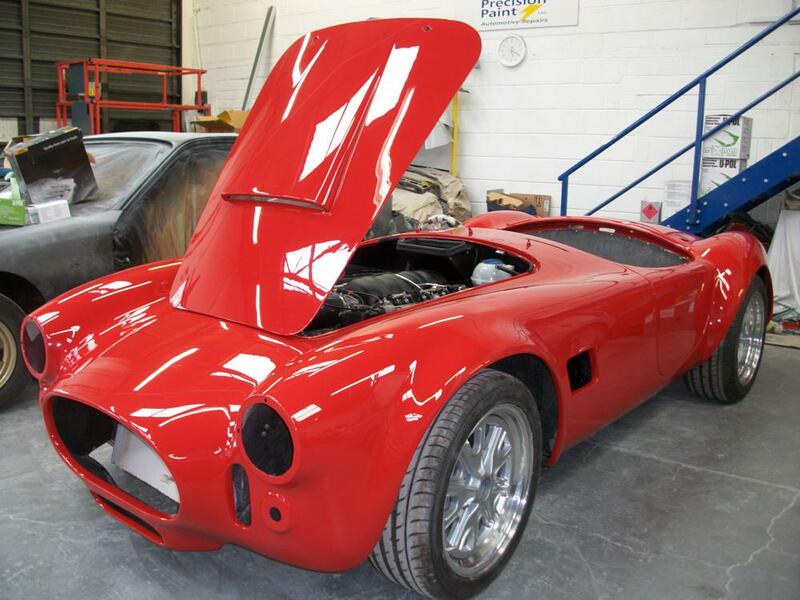 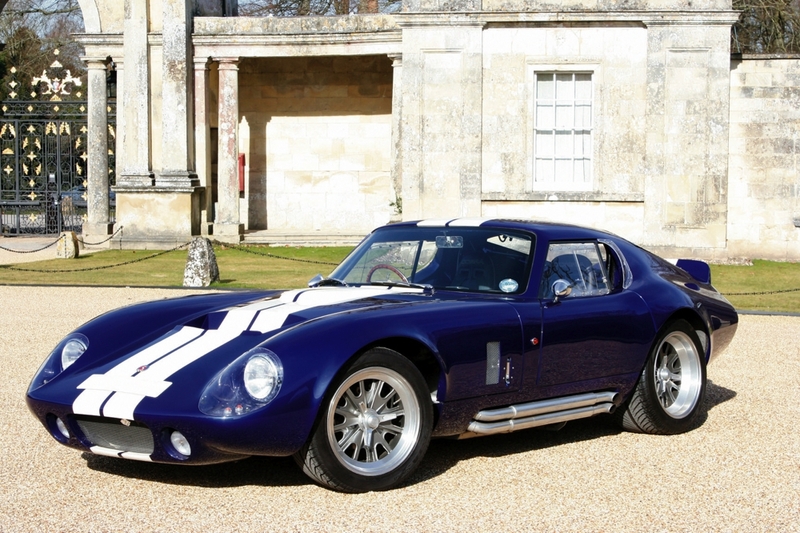 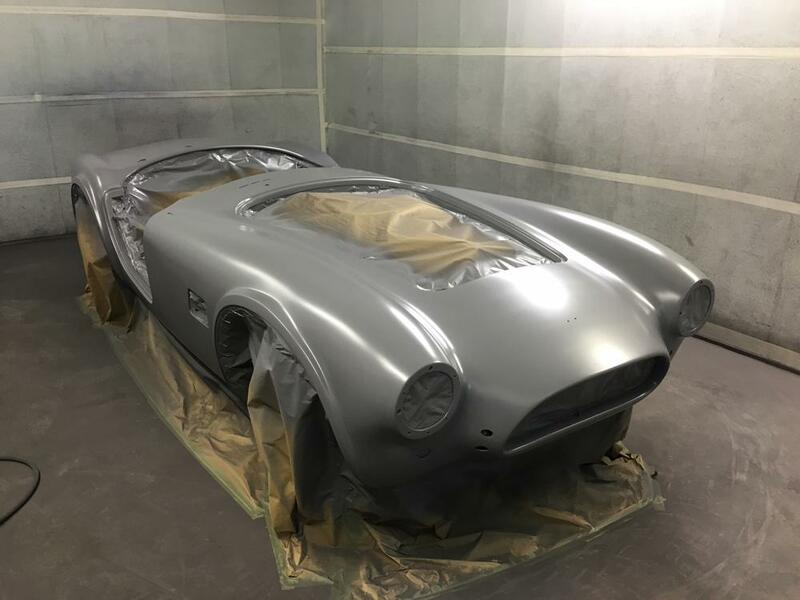 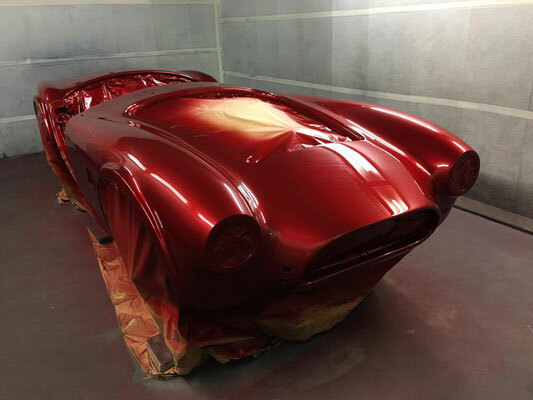 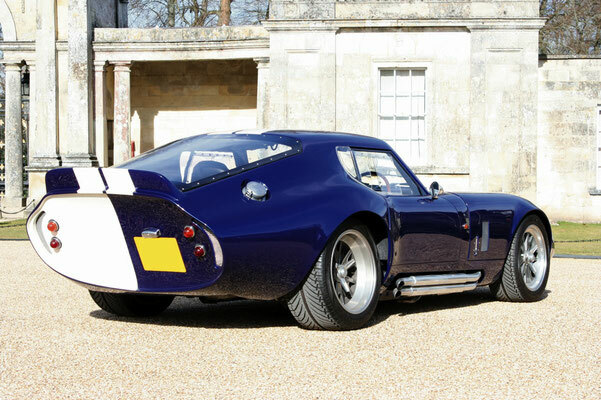 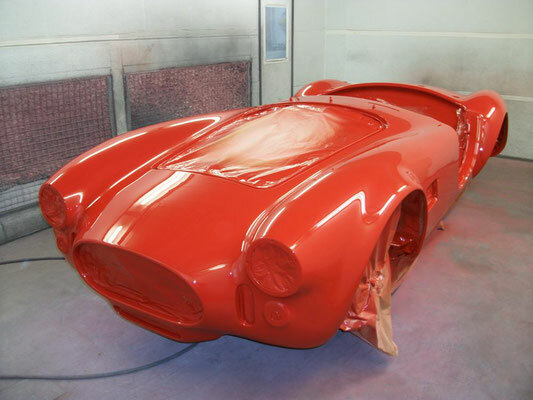 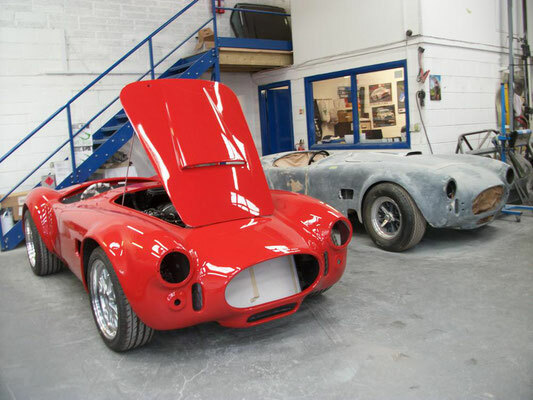 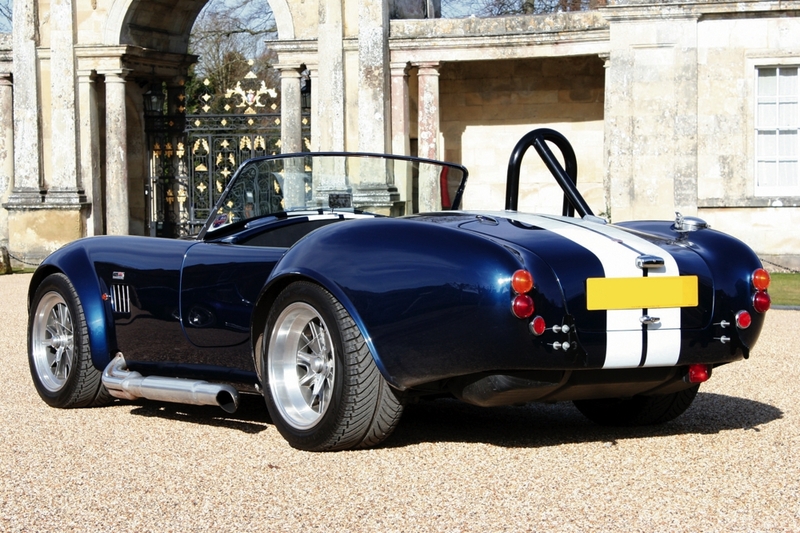 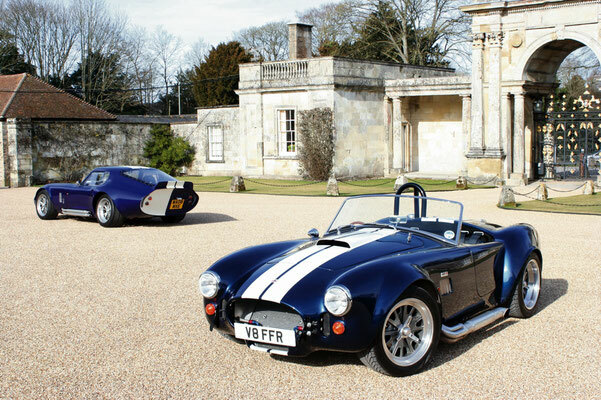 This Cobra has been sanded down from factory gel coat/ base. 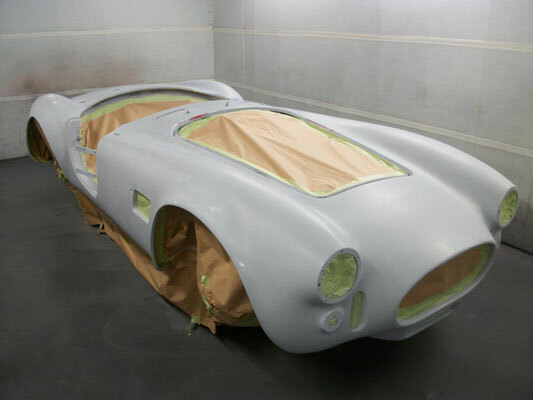 Following this, imperfections have been repaired prior to high build priming. 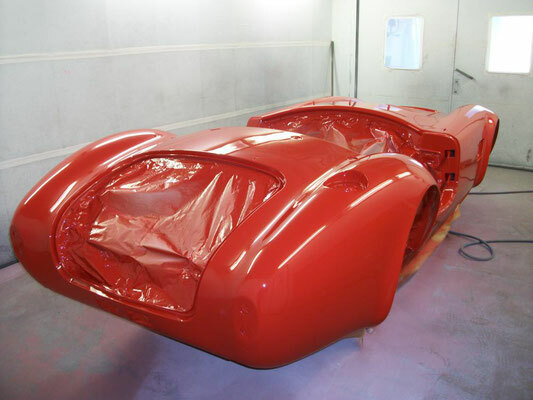 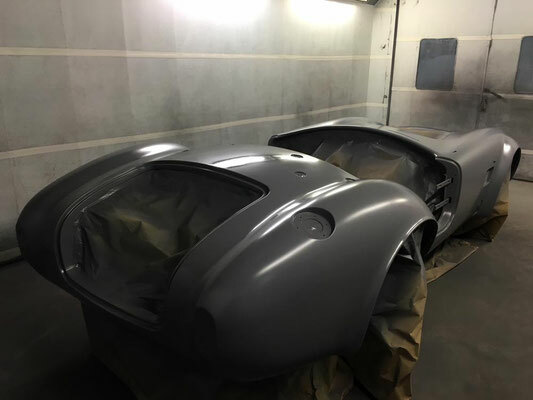 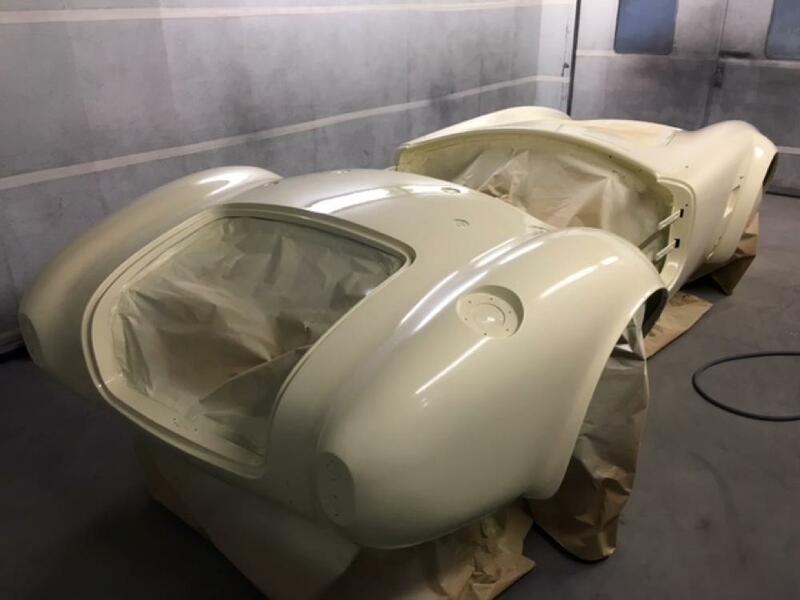 The car is then precisely blocked until 'flat', then colour is laid down, with clear coat following. 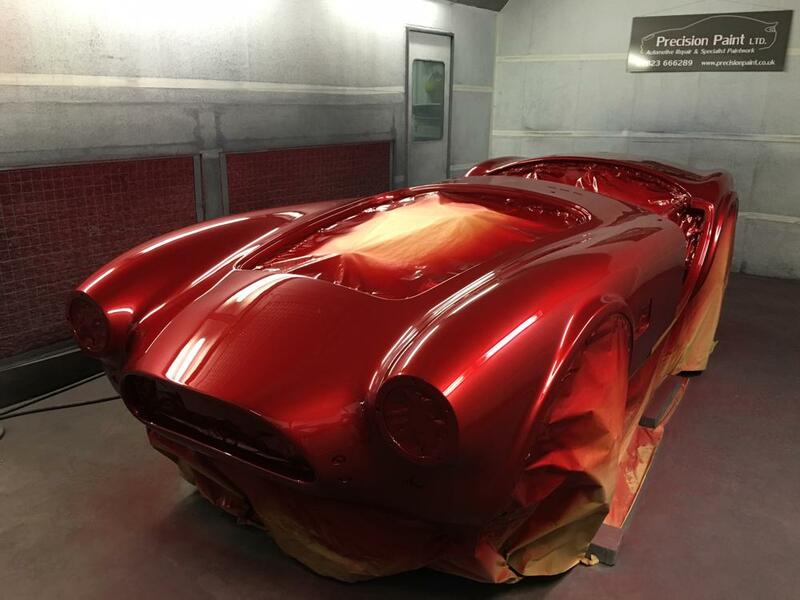 The clear coat has then been flatted and polished to give the quality of shine! This AK replica has also been sanded down from factory gel coat/ base. 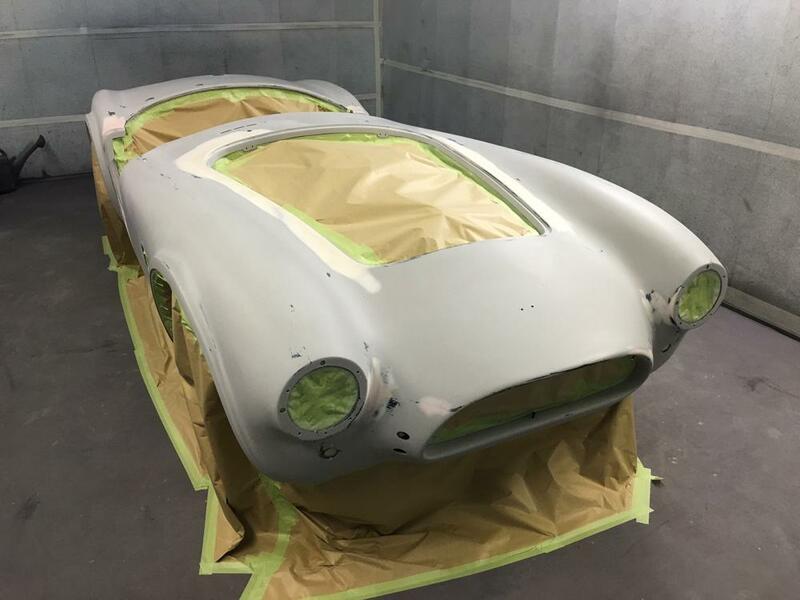 The imperfections have been repaired prior to high build priming. 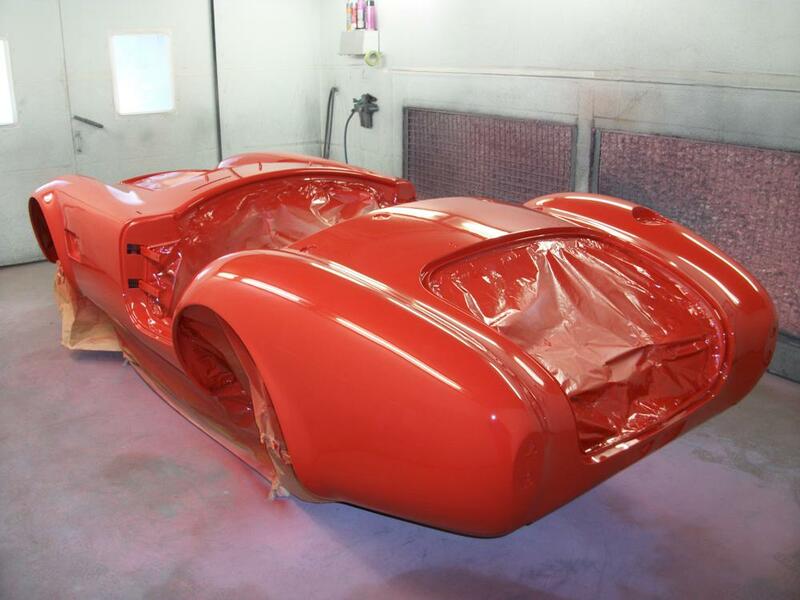 The car is then precisely blocked until 'flat', then colour is laid down, with clear coat following. The clear coat has then been flatted and polished to give the quality of shine. 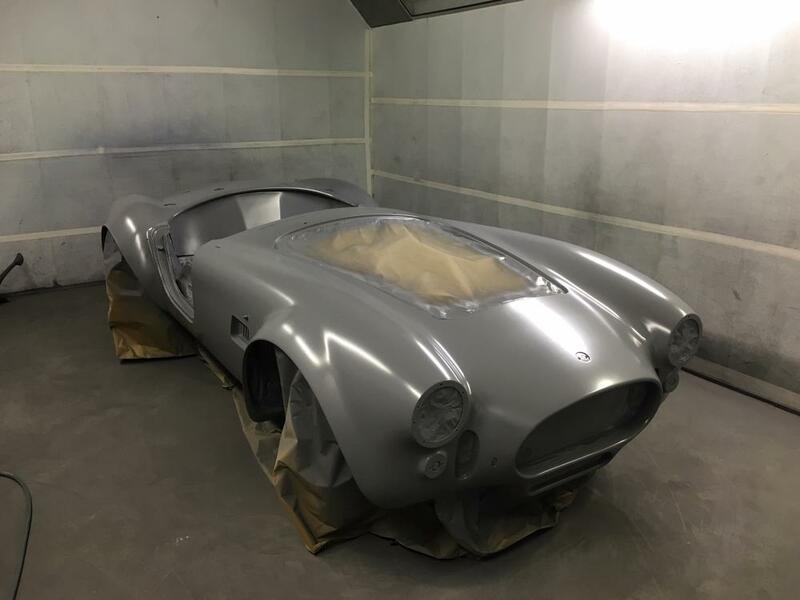 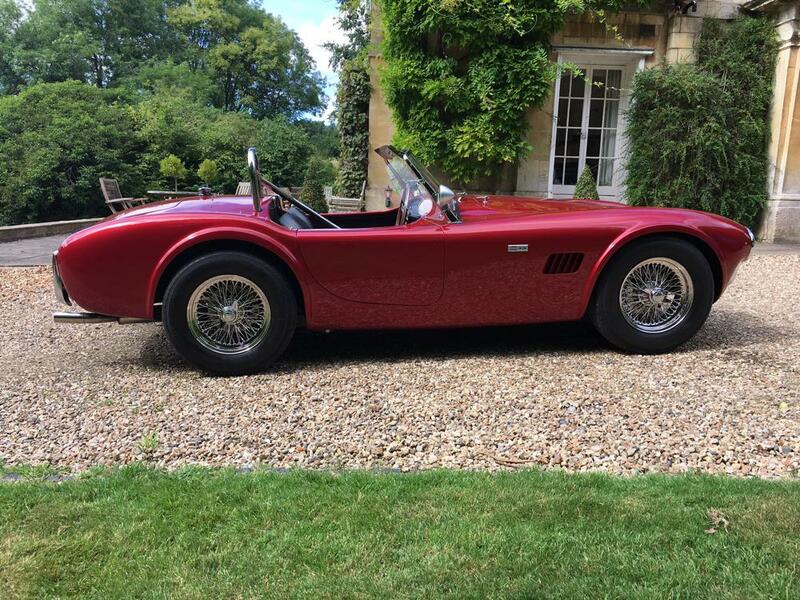 The Gardener Douglas Cobra has been sanded down from factory gel coat/ base. 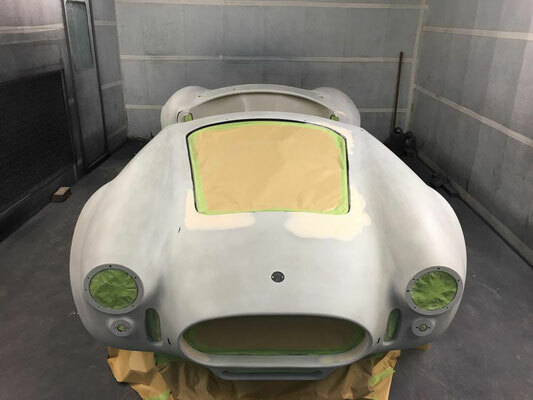 Following this imperfections have been repaired prior to high build priming. 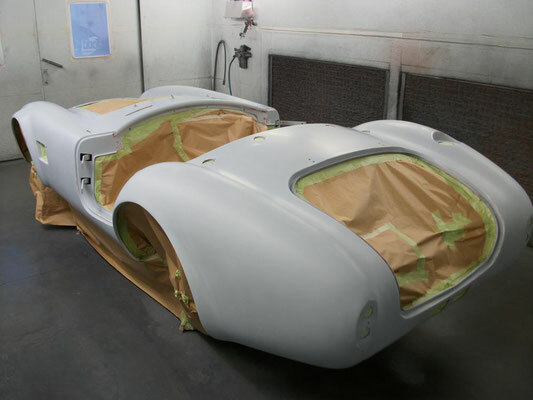 The car is then precisely blocked until 'flat', then colour is laid down. 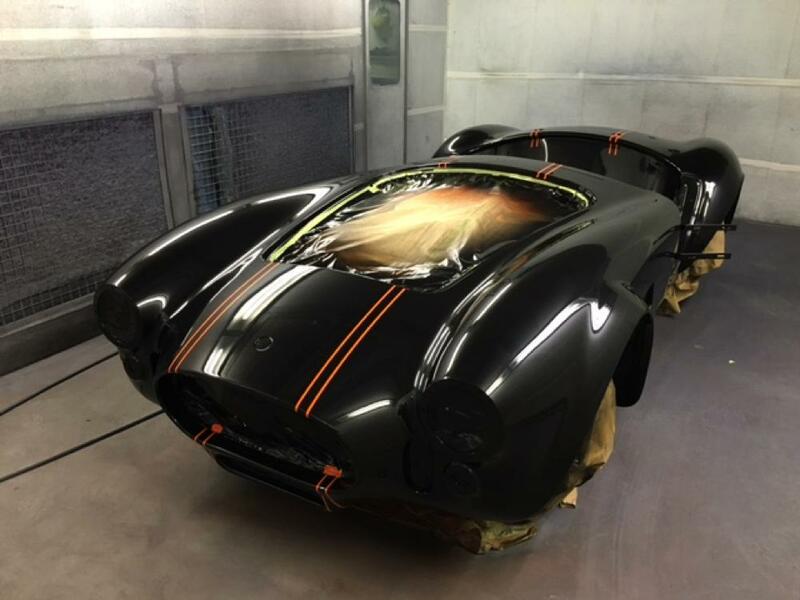 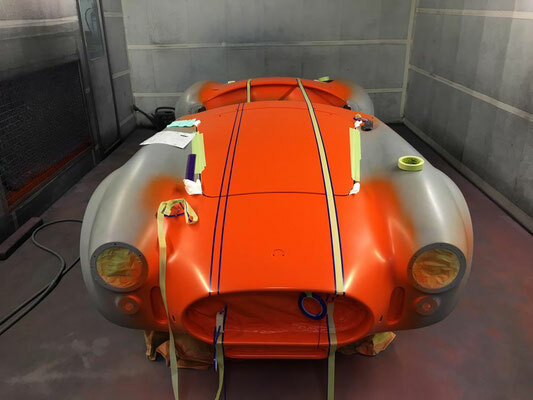 The stripes are carefully masked out and coloured prior to laying the rest of the cars body colour (black). 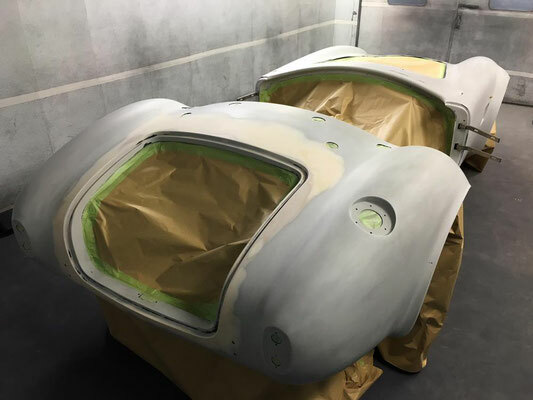 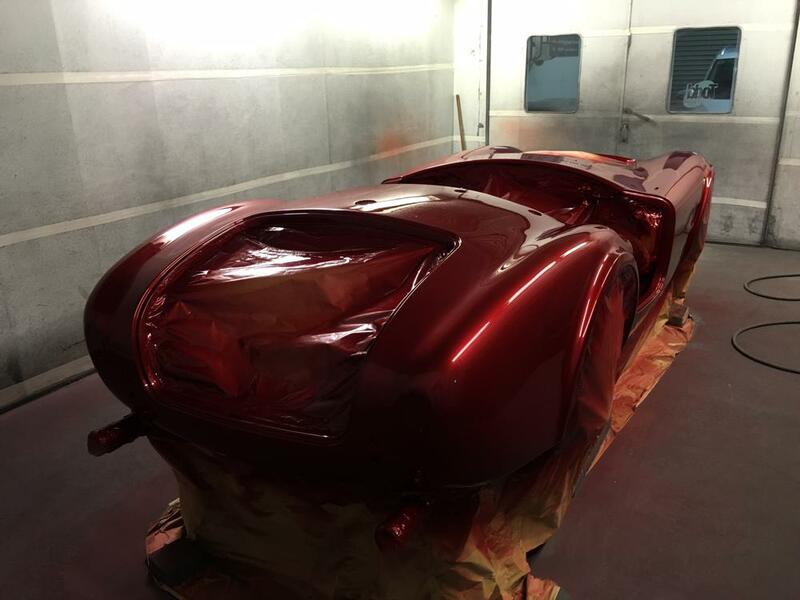 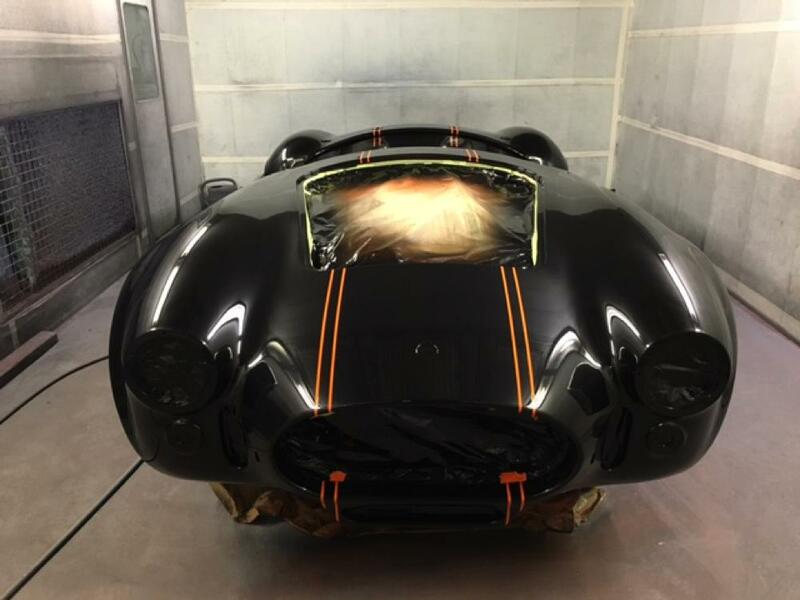 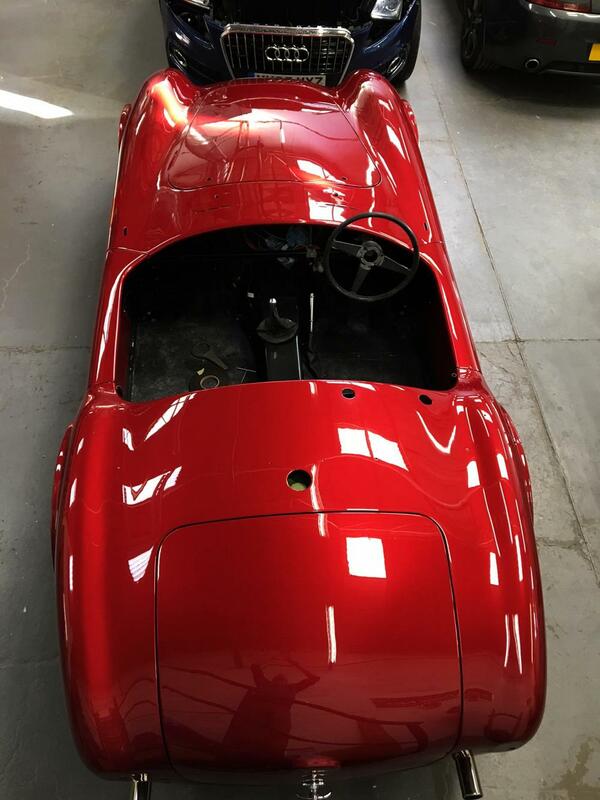 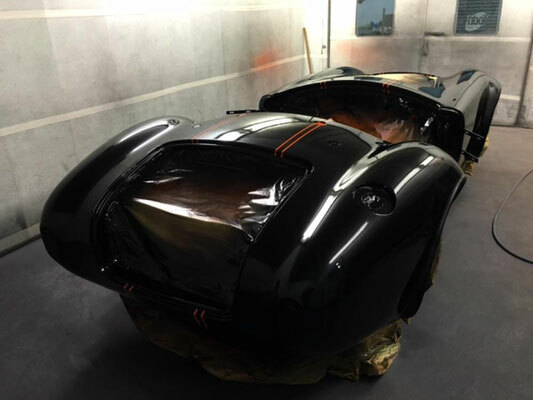 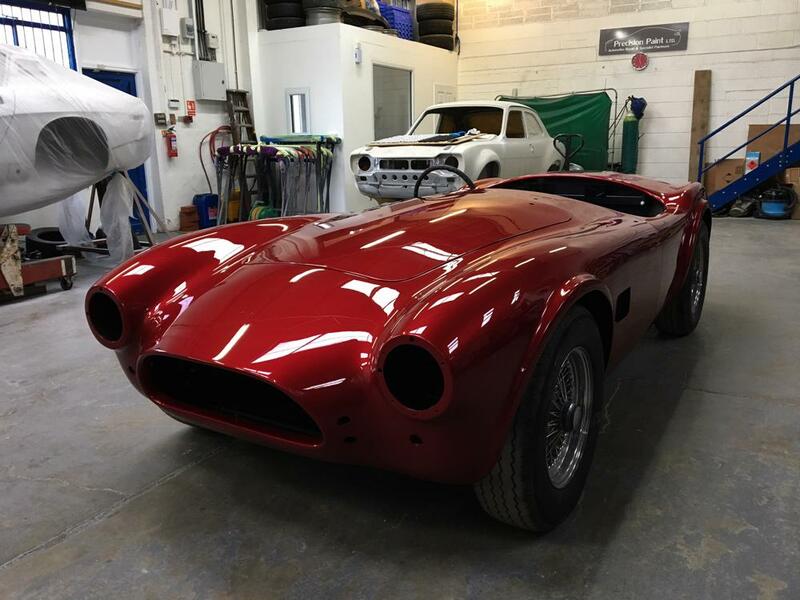 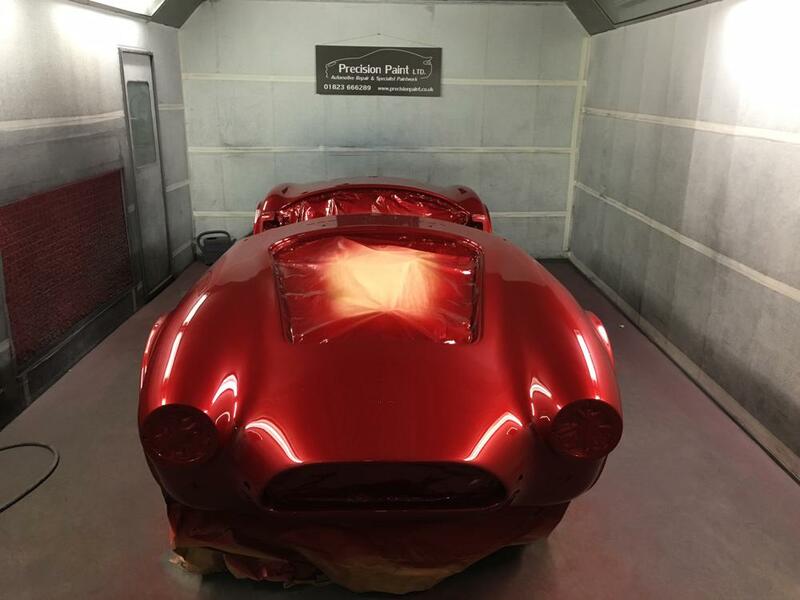 Clear coat is then applied, and once properly cured is flatted and polished to give the quality of shine and also the completely smooth pin striping!